Dry shampoo: Dry shampoos are in the form of powder that is the common hair care product. It does not remove the dust of hairs properly but act as good cleanser. Daily use shampoo: These are not gentle product but they are strong cleansers and can be applied to all types of hair. 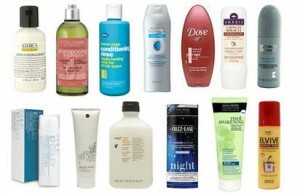 This is the general hair care product that is found in all flavors. Shampoo for processed hair: These hair care products are low in alkali but rich in moisturize to provide hair more softness and zero roughness. Deep acting conditioners: Deep conditioners are used in very critical or severe states of hair in almost all salons with different requirement. Oil conditioners: This type of conditioner is used to dry and burnt hair. Oil conditioner provides food, silkiness and softness to hair and also causes the faster growth of hair. Leon structure hair spray: This hair care product is famous for family hair care product. This provides shine, finishing the hairstyles and flexibility to hair. Oscar volume spray: It holds the hairs in the position for long time, and also gives strength and increase flexibility of hair. Hair wax: Hair wax is thick and sticky product, used to glow the hair and keep in the styling place. Hair mousse: Hair mousse is used to give the volume, shine and thickness to hair without any binding material. This hair care product is only used in wet condition with comb or fingers. Hair gel: Hair gel is used to make stiff and shine the hair but not like wax as wax is thick and gel is liquid product. Hair look thicker and stronger by using of of hair gel. Scissor: Scissor is general hair care product for the maintenance and healthy locks of hair. Hair dryers: Specific hair dryers are used to dry hair in very few minutes especially in winter season.